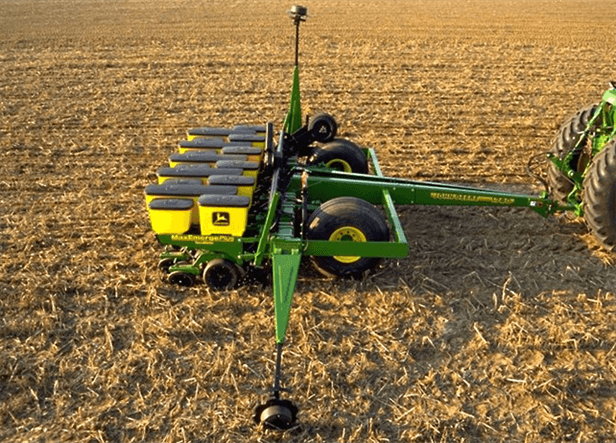 The 1780 Narrow-Row Planter allows you to easily change row widths to accommodate different crops. Simply lock up every other row unit and plant your corn in 30-inch rows. When it's time to plant soybeans, just lower the splitter units to plant at half the row spacing of your corn.